Ellery is 8 Years Old! 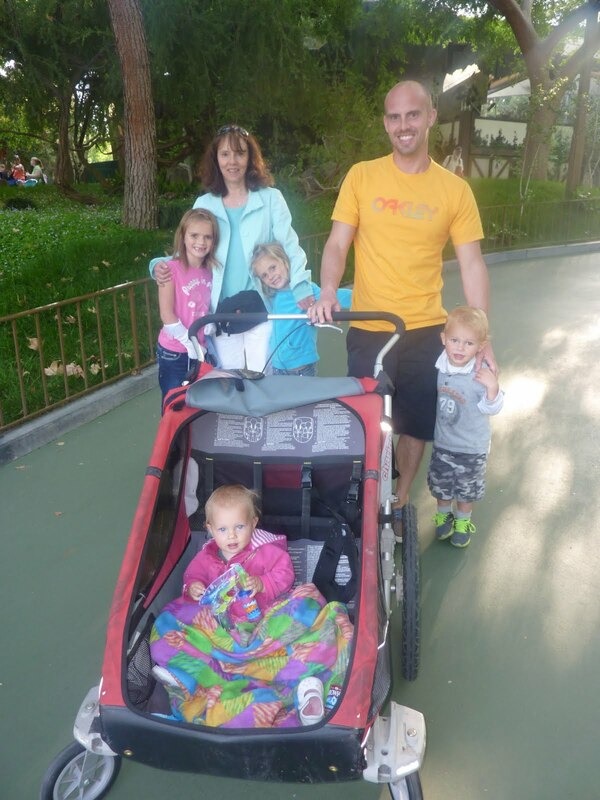 To celebrate a very exciting 8 year birthday, we took Ellery and the family to California and Disneyland. I think it was a dream day for this sweet little girl. She woke up to streamers and presents (totally unexpected because we were guests in Brent's Uncle's home). We promptly left for Disneyland and spent a full day riding rides, browsing shops, snuggling with siblings, and being doted on by Mimi. What impresses me most about Ellery is her confidence. Today she started team gymnastics. Her skills were far below the other members. She spent a grueling 3 hours keeping up. If it were me, I would have cried. But she left in high spirits. What a girl. What endears me most to Ellery is her kind heart. She never shys away from a hug or kiss or I love you. She is diligent in watching over her brother and sisters. Ellery often cleans her room as a surprise for me. She has a passion for history, and would listen to me read about classical civilizations for days on end if we could. Favorite Books to Read: The Little House series, especially These Happy Golden Years and The First Four Years. What I want to Become: An actress. Sing and do plays. Favorite Activity with Friends: Playing "night games." Best thing to do with Family: Going on trips to places with pools and playing outside in the yard. Thing you get most excited about: When Mimi or Grandma comes. Something you look forward to when older: College. But I don't really want to grow up. Something you worry about: When someones voice sounds really worried. Best Memory: Disneyland was really, really different. It was much bigger than now. There was a pink gateway. We stayed with Mimi and Papa. We saw the princesses. Mimi and Papa's house was different.